← Good, sound reasons or reasons that sound good? 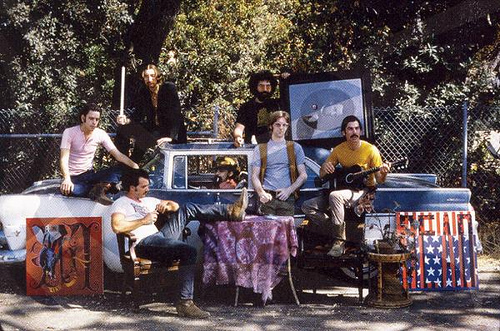 The Grateful Dead, San Francisco, 1969. On April 15, 2010, IDC analysts Frank Gens and Amy Konary presented an executive briefing called The Maturing Cloud: What the Grateful Dead Can Teach Us About Cloud Economics. In addition to IDC’s usual carefully researched data, the webinar included a wealth of thought-provoking information that used analogies from the band’s storied history and correlated it to the technology industry. When I thought about how Gens and Konary used the Grateful Dead analogy to clarify many of the most confusing aspects of cloud computing, I realized that I could apply the same lessons to marketing. So, with grateful acknowledgement of IDC for giving me the idea, here are the four things that the Grateful Dead taught me about marketing. Reassess what customers value. When the Grateful Dead came onto the music scene, the record companies ruled. Bands were packaged and promoted according to what the record company felt would sell, whether they wanted to be or not. Everyone “knew” what fans wanted: lots of interviews with their idols, lots of close-up photographs in glossy magazines, and (most importantly) lots of top 40 hits. The Grateful Dead didn’t have any of those things — in fact, their first time on the record charts came in July 1987 (33 years after they began recording and touring) with A Touch of Grey. Instead of delivering what the record companies thought music buyers wanted, the Dead delivered what their fans valued: a live music experience supported by records they could buy and listen to after the show. What do your customers value? Have you asked them? Recognize that a brand is far more than what you can buy and sell. Noah Weiner, author of The Grateful Dead Listening Guide, said in a 2009 interview that, “The ‘real’ Grateful Dead could never be purchased at a store … The “real” Grateful Dead is much larger than any one bit of music you hear. It all vibrates over the course of the Dead’s 30-year run. That, and all the bootleg tapes of all the shows, is like a story passed down from parents to children. It won’t disappear if the music industry crumbles. It’s woven into the fabric of our society.” This is true for many brands as well, notably among Apple and Linux users, as well as for drivers of particular cars, and the fashionistas who wear a favorite designer. What’s your brand’s story — and who’s writing it? Encourage sharing and flexible relationships. While most bands jealously protected their album artwork and banned photography and videotaping at concerts, the Grateful Dead allowed taping and sharing, creating a large library of “bootleg” music and videos that were all part of the Deadhead experience and “lifestyle.” Jerry Garcia said once that “The kind of person who wants to tape a Dead concert will buy the albums, buy tickets for the show, and buy other things, too, from T-shirts to who knows what.” He was right. The Grateful Dead was one of the most profitable bands of all time. How do you interact and engage with your customers? What impact to they have on your product strategy, your marketing planning, your way of defining your company and its place in the market? If it ain’t broke, don’t fix it. The Grateful Dead didn’t change with the times. While their contemporaries from the 60’s music scene struggled to keep up with the times, the only change that Dead seemed to make happened early in their career when they abandoned acid-charged psychedelic rock for their own brand of close harmonies mixed with folk music. They understood the value of familiarity and repetition to their fans. Do you understand whether or not your customers want you to change things, or whether they want performance improvements without style or substantive changes? When I was a rookie account executive at a large agency, I remember walking through an airport with a client and seeing the client’s advertising campaign on a kiosk in the terminal. “We need to change that old thing,” the client said. “But, sir, it just went up last week,” I ventured. Of course he had — he’d seen it at the concept and planning stage, and watched it as it was rolled out across the company’s divisions and multi-channel marketing deliverables. So while it was old to him, it was new to the thousands of prospective customers walking through that airport terminal along with us. Today, there’s a myth that messages have a very short lifespan because of the speed with which they’re delivered. As I wrote in The Distributed Marketing Blog last week, the speed of delivering a message doesn’t change the fact that human beings have to hear or see that same message multiple times before they will remember or believe it. It’s one of the (many) reasons that multi-channel marketing isn’t an option — it’s a requirement. I can’t say I was ever a Grateful Dead fan. I saw them live just once, during an assignment for a magazine, and spent an hour or so backstage chatting with the band and their families. I did admire the way their fans stuck by them. I will never understand why fans felt so close to the band. At the huge concert I attended, the band was incredibly distant and hard to see. But the self-described Deadheads treated the band, and each other, like a huge dysfunctional family. To me it was sad how many of them ended up left on the roadside, drug addicted and lost, while the vast tribe moved on through the decades. And of course, I admired the way that the band kept producing music that their fans loved to listen to again and again. Photo credit: Rosie McGee shot the photo of the Grateful Dead in Haight Ashbury (San Francisco) in 1969; all rights reserved by the artist. 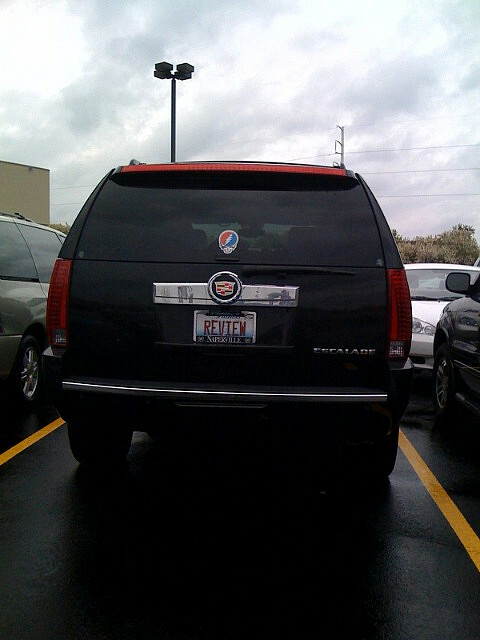 Michael Marusin shot this photo of a Deadhead sticker on the Cadillac in 2008. Gallery | This entry was posted in Uncategorized and tagged Grateful Dead, IDC, marketing, multi-channel marketing. Bookmark the permalink.